Want to see the PRINT 18 show floor before September 30th? Or get an unbeatable deal at a wide selection of Chicago hotels? 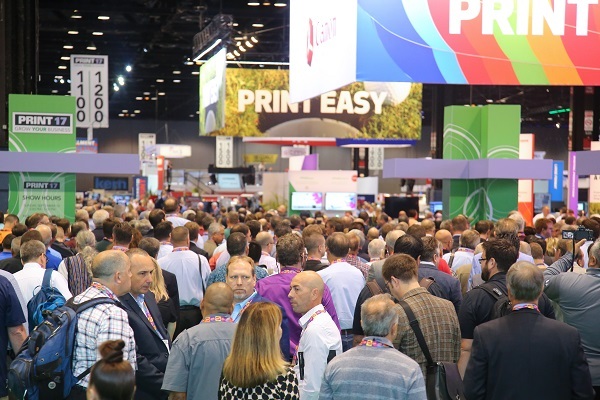 See how PRINT 18 attendees can save time and money with the hacks below. Also don’t forget to follow @thePRINTevent and @Expovision_inc on Twitter for the latest on #PRINT18! As the designated Hotel Reservation Office, we guarantee the lowest room rates with our 26 hotel partners. PRINT 18 registrants can save up to 44% off. There are Marriott, Hyatt, Hilton properties and more. There are also 3 Boutique Hotels in the downtown area. The hotel reservation website has everything you need: room rates, star ratings, distance to the Convention Center and more. If you need support, call a Booking Specialist at (800) 305-0039. Note: The deadline to book a PRINT 18 hotel is August 31st. After this date, rates may increase and hotel rooms may not be available. comfortable walking shoes: McCormick Center is the largest convention center in the United States, so be prepared to walk a lot. Make sure to break in any new shoes. business cards: Be prepared when networking to hand over a business card with your contact information, it’s much easier than writing it down over and over. breath mints: Also convenient for networking. hand sanitizer: For after all of those handshakes. notepad & pens (or tablet/small laptop): While you’re attending educational seminars (more on that below), you’ll want something to keep track of all your new knowledge. reusable water bottle: Save some money and time waiting in lines. The cost of Chicago commutes can add up. You and your team can avoid long cab lines and Uber surcharges by using the complimentary shuttle service to-and-from McCormick Place. This is available with hotels in the official room block. There is also a shuttle on Monday, October 1 from McCormick Place to Pinstripes: Bistro, Bowling and Bocce for the PRINT Party with a Purpose! Navigate the bustling show floor with this free mobile planner. Use this tool to decide in advance which booths are a must-see! Search the floor plan to get started on growing YOUR business. Once your feet are tired from walking the show floor, you can attend dozens of different educational sessions, panels discussions and labs. There are a variety of opportunities to learn the latest about the industry’s sales, new markets and more. There are also 3 free session with “industry innovators,” but pre-registration is required due to limited seating. The Learning Experience is back and continuing to grow; Registration will open on May 2018.